Buy from a family-owned Hyundai dealership near Melbourne! You can find a great car without going into the big city. 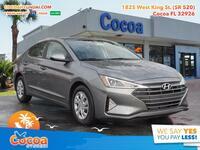 At Cocoa Hyundai we have new Hyundai models in Melbourne, FL. 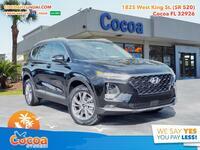 Our dealership is just outside of Melbourne in Cocoa, and we are worth a visit. We will give you the options you need with the experience that you deserve. Learn more about our dealership and all that we have to offer to Melbourne drivers below or reach out to us now! 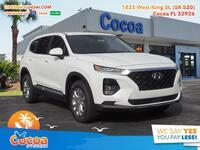 The Santa Fe is a large 5-passenger SUV that’s ready to handle your whole Melbourne family and it’s perfect for hauling stuff too. Even with that, it remains fun to drive and loaded with features. The Tucson is just a little smaller than the Santa Fe. With a different style, a unique set of features, and plenty of room even for Melbourne families, this could be a great option for you. The Kona is small, nimble, and surprisingly capable. It’s currently the smallest crossover on offer from Hyundai, but what it lacks in size, it makes up for with a spacious interior and plenty of tech. 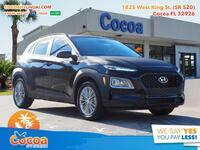 Hyundai is always expanding its lineup and those crossovers listed above are just the beginning. 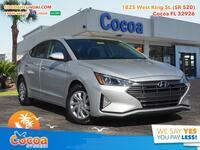 Of course, Hyundai also offers sedans and compacts including the Veloster, Accent, Ioniq Hybrid, Elantra, and Sonata. Find your best option or keep reading about us below. There are a lot of reasons to buy form Cocoa Hyundai, but they all stem from one fact. We look out for our customers, and we are ready to look out for you. Take a look below to learn about just a few of the benefits you will get to enjoy when you buy from us. Transparent upfront pricing you can rely on. Financing options for those with bad credit. Free oil changes for life on all new Hyundai models. Our One Million Miles Plus powertrain warranty on all new Hyundai models. 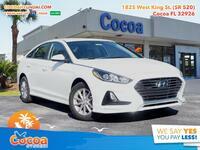 Come to Cocoa Hyundai and let us get you behind the wheel of a car that you’ll love. We love our Melbourne customers, and we can’t wait to help you! Contact us today!